Born in 1899 outside of Bolton, Mississippi, Sam Chatmon was one of 24 children born to well-known fiddler Henderson Chatmon and guitarist Eliza Jackson. 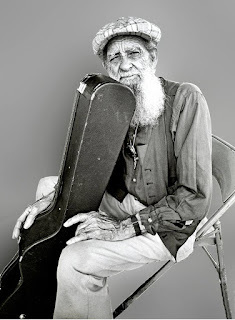 First introduced to music at an early age, Sam played the bass in his family’s string band, which performed rags, ballads, and popular dance tunes at parties in the immediate vicinity of Bolton. 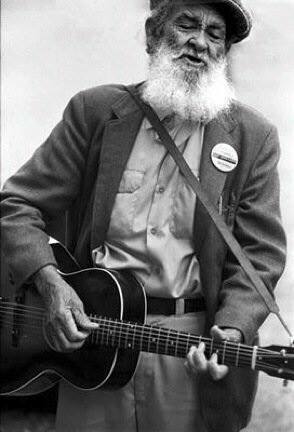 As a young man, he developed into a versatile musician, who could play bass, guitar, banjo, harmonica, and mandolin. 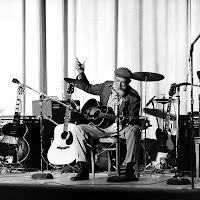 Beyond his early performances at local parties, Sam also worked as a solo act for small fees and tips on street corners and cafes in cities across Mississippi. 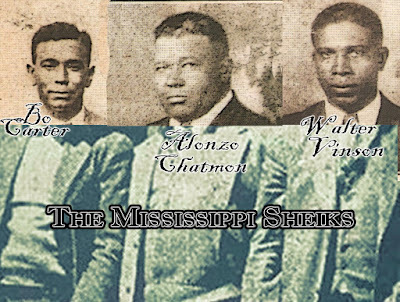 In the 1920s, two of his brothers formed a popular string band the Mississippi Sheiks, which at the time of their first recording session for Okeh Records in 1930 included Lonnie Chatmon on fiddle, Armenter “Bo Carter” Chatmon on guitar, and Walter Vinson on guitar and lead vocals. 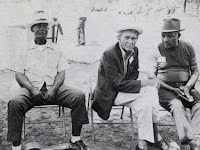 In the late 1920s, Sam and his wife Palyetta Chatmon moved to Washington County in the Mississippi Delta, where he worked on occasion as a farmer on the plantations outside the town of Hollandale. 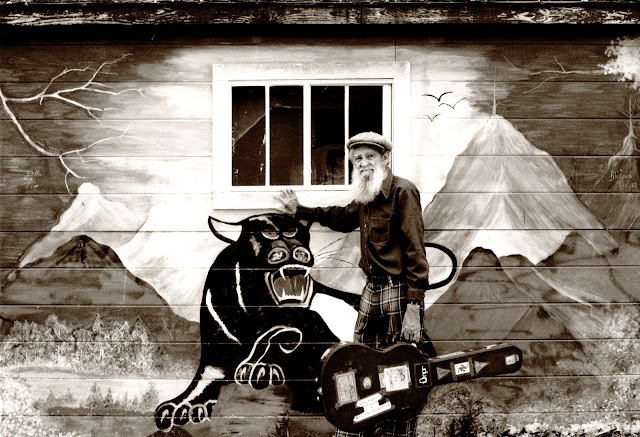 He continued to perform during this period, sometimes alongside eminent blues guitarist and singer Charlie Patton, who also grew up in Bolton. 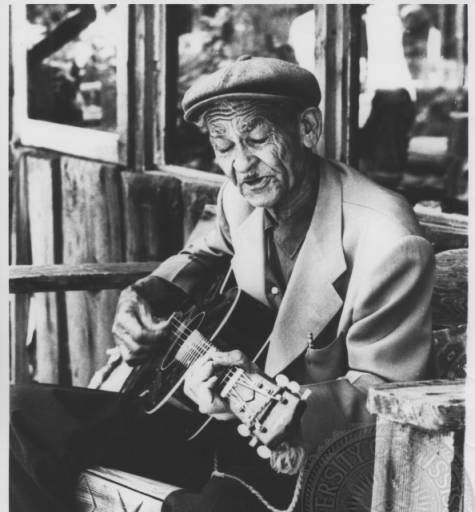 After the Mississippi Sheiks disbanded in 1935, Sam and his brother Lonnie went on to make their final recordings, twelve duets, for the Bluebird label in 1936, which signaled the end of his career as a professional musician. He subsequently returned to his wife and children and settled down to farming in Hollandale. Ken Swerilas, a folk music enthusiast who had acquired several 78 rpm records of the Mississippi Sheiks, managed to track down the versatile blues musician in 1965. 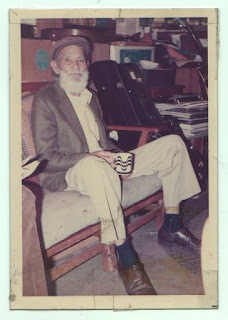 “I didn’t play much music until 1965 when Ken Swerilas came by and asked me to come out to San Diego,” he recalled, “So I came out West and wound up getting a whole new chance to play at colleges and coffeehouses and a whole new chance to make records.” Starting a new chapter of his career as folk-blues artist, Sam Chatmon recorded that same year for Arhoolie Records, and he later recorded for several other independent blues and folk labels. He toured extensively during the 1960s and 1970s. 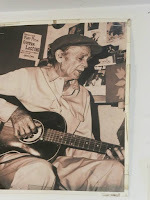 At Sweet’s Mill Music Camp in California, he made several recordings with a new band called The California Sheiks, which included such musicians Sue Draheim, Kenny Hall, Ed Littlefield, Lou Curtiss, Kathy Hall, and Will Scarlett. In the mid-1970s, Chatmon performed at some of the largest and most popular folk festivals, including the Smithsonian Folklife Festival in Washington, the Mariposa Folk Festival in Toronto, and the New Orleans Jazz & Heritage Festival. 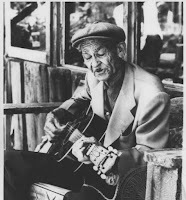 Music critic John Wilson, in one 1971 article for the New York Times, described the finger-picking guitar and moaning vocal style of Chatmon as a “living summation” of the Delta blues tradition. Even though he enjoyed an extended resurgence in popularity that took him to venues across the country, Chatmon always came back home to Hollandale. His presence in the Delta, indeed, served as a major promotional force and inspired a new respect for blues music in Mississippi. 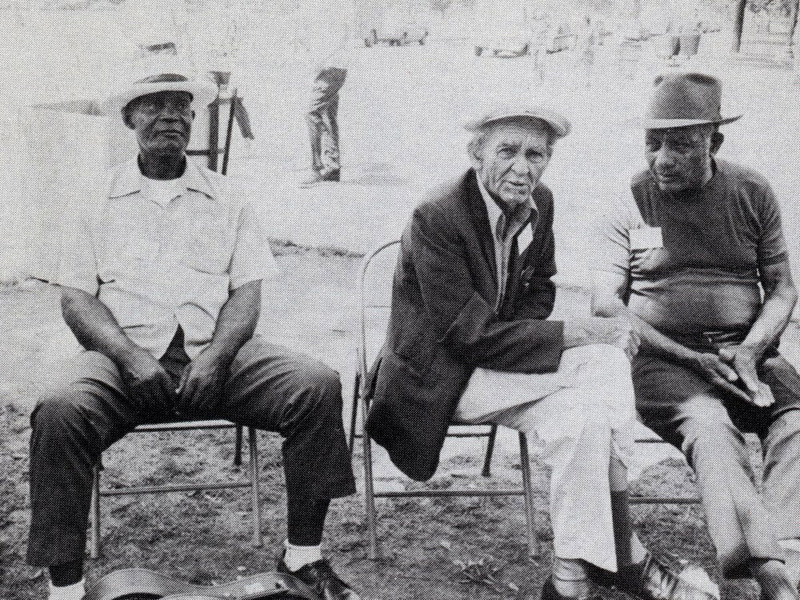 The Mississippi Parks Commission, the Mississippi Arts Commission, and the National Endowment for the Arts combined forces to initiate the Classroom in the Parks Program in the summer of 1976, which included “A Tribute to the Delta Blues” at Leroy Percy State Park, featuring Chatmon and several other Delta-based musicians. 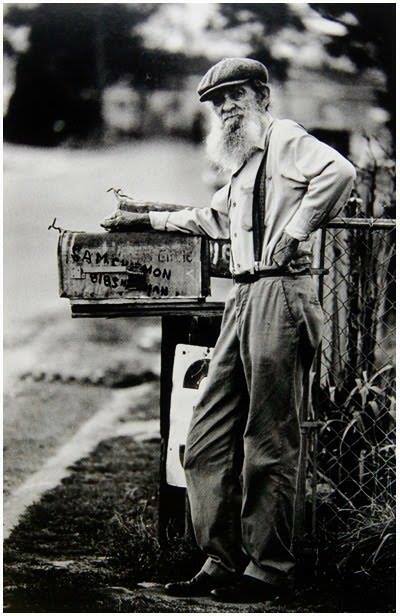 Beginning in 1977, he also performed at different blues concerts and events sponsored by Mississippi Action for Community Education (MACE), a community action organization headquartered in Greenville, which organized the first Delta Blues Festival at Freedom Village in 1978. 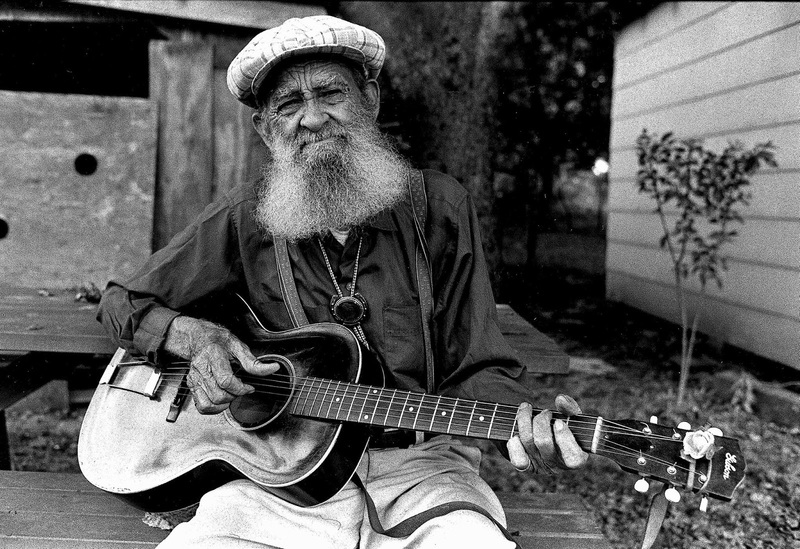 Chatmon was a featured performer for five years at the annual Delta Blues Festival. He was even honored with a reception at the Governor’s Mansion in 1982, the day before his final public performance on stage in Freedom Village. 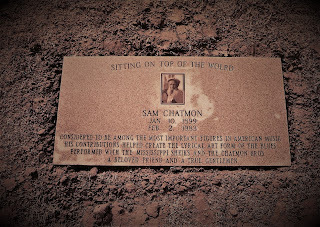 Chatmon was buried in an unmarked grave at Sanders Garden Memorial Cemetery until the late-1990s. It was not until a little more than fifteen years after his death that the Mt. Zion Memorial Fund marked his burial site with a flat memorial headstone. Indebted popular musicians Bonnie Raitt and John Fogerty contributed the majority of the $1,400 cost of the marker, which featured an engraved portrait of the blues artist as well as an inscription composed by MZMF founder Skip Henderson and former student Libby Rae Watson. Hollandale native Cousie Giglio, in conjunction with local officials, organized a dedication ceremony at the city auditorium in Hollandale, which attracted over two hundred people from all over the state on March 14th, 1998. Blessed with beautiful weather, the graveside service was a “pleasant one,” according to one observer. The Hollandale Fire Station hosted a subsequent reception in honor of Chatmon. With an abundance of food, including a cake in the shape of a guitar, the festivities included the screening of a film about the blues singer, a display of mementos relating to his life, several speeches of family and friends, and a live performance by Leland-based (Wilmot Born!) 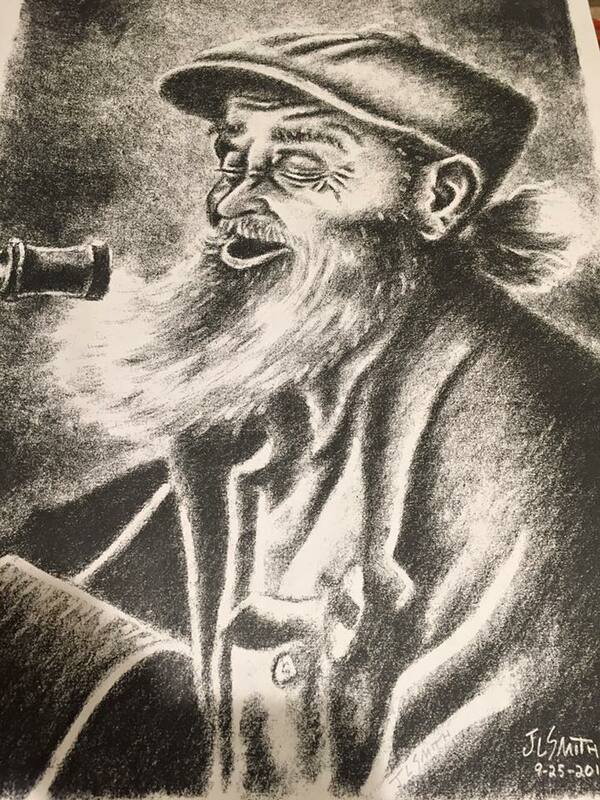 bluesman Eddie Cusic. Some folks, who wanted to continue the celebration, headed over to the Walnut Street Bait Shop in Greenville to enjoy libations as well as the musical stylings of T-Model Ford and the John Horton Band. 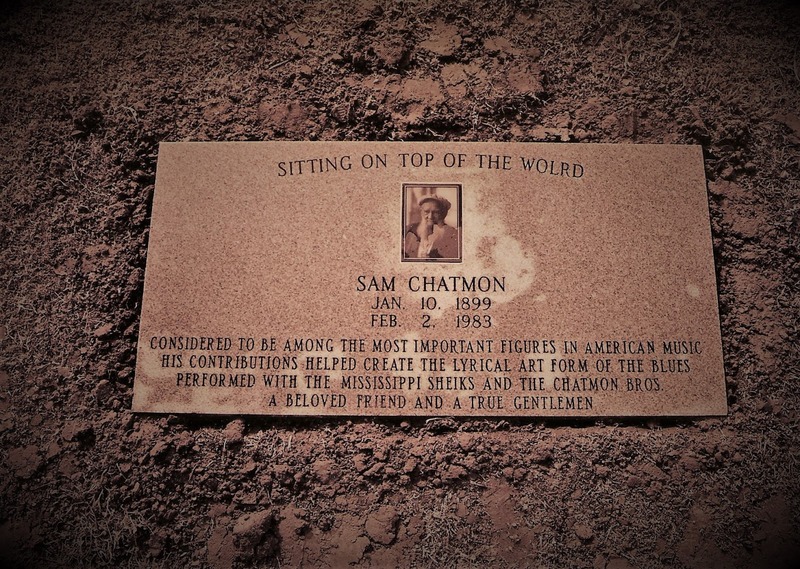 The first headstone erected for Sam Chatmon was replaced in September 2015. Considering the Mt. Zion Memorial Fund decided to focus its efforts on 1) assessing the condition of markers and their surroundings and 2) taking the necessary steps to address any problematic discoveries. 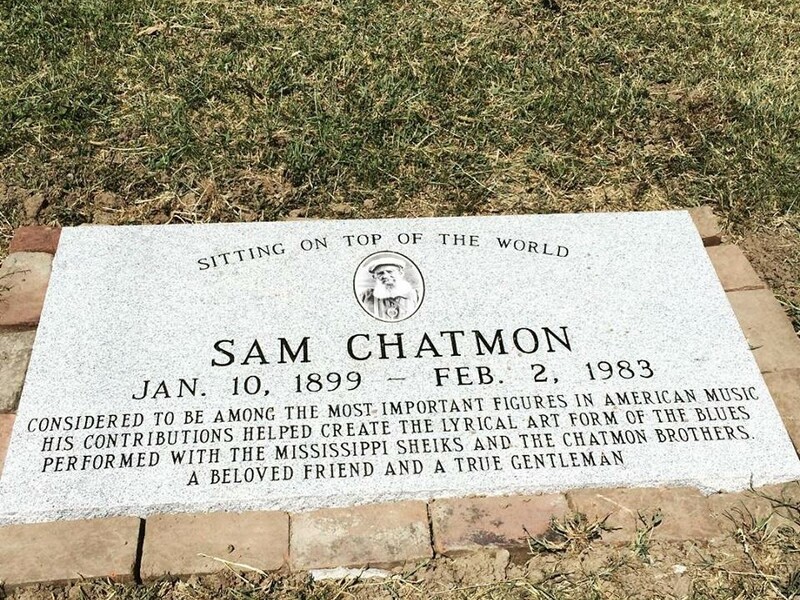 The most pressing and potentially costly problem we identified was the deterioration of Sam Chatmon’s headstone at Sander's Memorial Garden Cemetery in Hollandale, Mississippi. The commemorative marker had deteriorated significantly during the past seventeen years due to lawn mower damage and the unforeseen effects of erosion on the flat stone. The intense amount of weathering rendered the etched photograph of the musician unrecognizable—more like vanished in the dark black space. The marker, in addition, suffered from repeated attempts to correct a couple of words that a local monument company misspelled during the engraving process. Due to the extent of damage and vulnerable nature of the flat stone, the board decided to replace it with a more durable headstone, one less susceptible to damage from routine lawn maintenance and designed to resist the effects of weather. The suggestion was also made to erect a commemorative bench near his grave site. To assess our options in light of cemetery rules, MZMF board member Euphus Ruth discussed the installation of a more weather resistant marker with the manager the cemetery. Although he would not allow an upright stone, he granted permission to install a slightly raised, beveled stone, which will help prevent lawnmower damage as well as allow water to run off the front surface. He also agreed to allow the installation of a stone bench near the grave site, which serves not only to honor the versatile musician, but also provide a solemn performance venue for blues musicians and enthusiasts who visit each year from around the world! On March 28, 2015, the MZMF board of directors met in Greenville to discuss—among other projects—the progress of fundraising efforts to replace the damaged headstone of Sam Chatmon. Having asked for bids from four different monument companies, the board accepted the second lowest bid of Mortimer Funeral Home in Greenville, Mississippi. The board made this decision based on its conclusion that the experienced, Delta-based institution will provide the utmost in quality as well as show care and respect for this native artist. The quoted price for the beveled headstone is $1,915.06. The quoted priced for the simple, yet sturdy, stone bench is $739.37. "Singer Z.Z. Hill dies in Dallas"
This work is licensed under a Creative Commons Attribution-NonCommercial-NoDerivatives 4.0 International License. Attribution must provide author name, article title, Mt. Zion Memorial Fund, date of publication, and a link to this page. This license applies to individual articles, not to text or images used here by permission. Mt. Zion Memorial Fund. Awesome Inc. theme. Powered by Blogger.